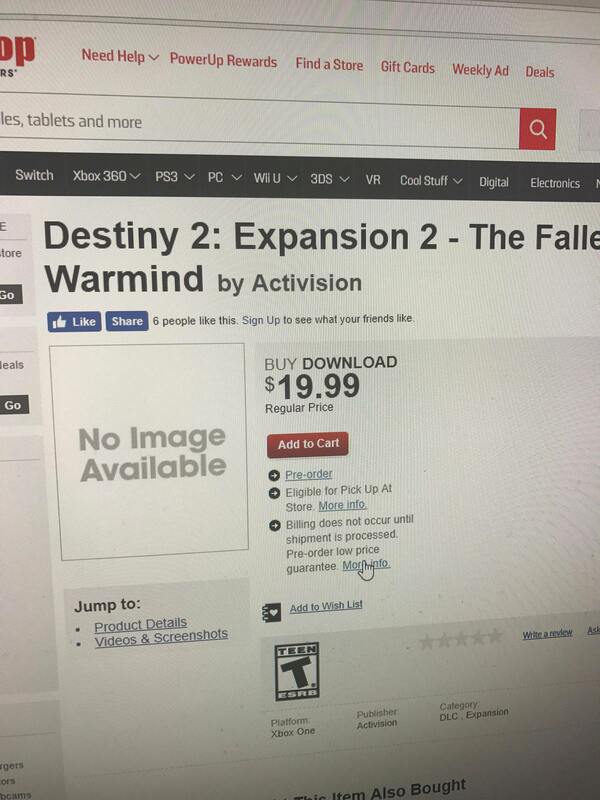 New story details surrounding Destiny 2's upcoming second expansion might have just leaked via an early listing from GameStop, according to a post on Reddit today. The Reddit post features the expansion, titled The Fallen Warmind, with a May 8 release date. This information coincides with a separate leak from last week. What's different now, though, is there is new information posted in the "Product Details" section. 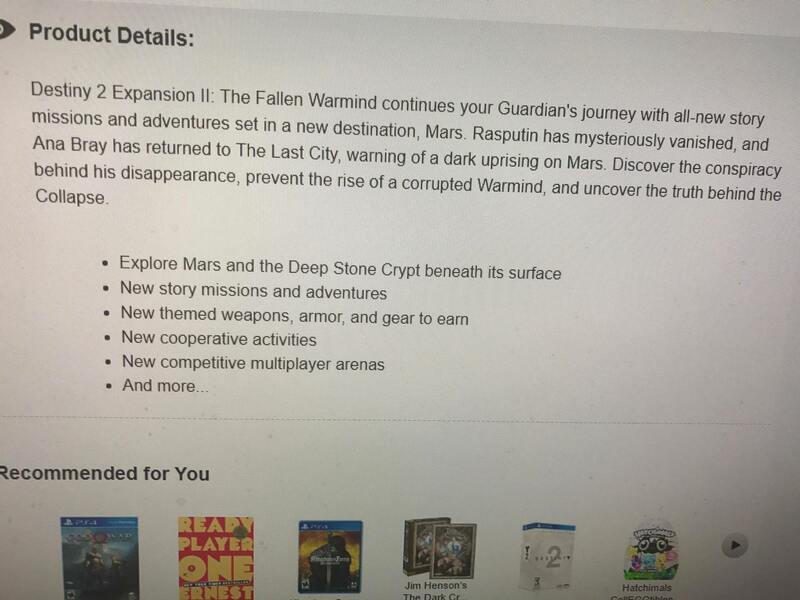 "Destiny 2 Expansion II: The Fallen Warmind continues your Guardian's journey with all-new story missions and adventures set in a new destination, Mars. Rasputin has mysteriously vanished, and Ana Bray has returned to The Last City, warning of a dark uprising on Mars. Discover the conspiracy behind his disappearance, prevent the rise of a corrupted Warmind, and uncover the truth behind the Collapse." This description sounds tame enough to be real, as fakes often blow things out of proportion and give players exactly what they want to hear in order to gain traction. The details about Rasputin and Ana Bray also match up with the only official information released about the second expansion thus far, which is a small piece of teaser art. Going back to Mars, a location from the original Destiny, will undoubtedly excite players, as well as the details about learning about Rasputin and the Collapse, which have been shrouded in secrecy up until this point. The description also promises new story missions and adventures, weapons, armor, gear, cooperative activities, multiplayer maps, and more. We should be hearing official news about the expansion soon enough, as the leaked release date is less than two months away.